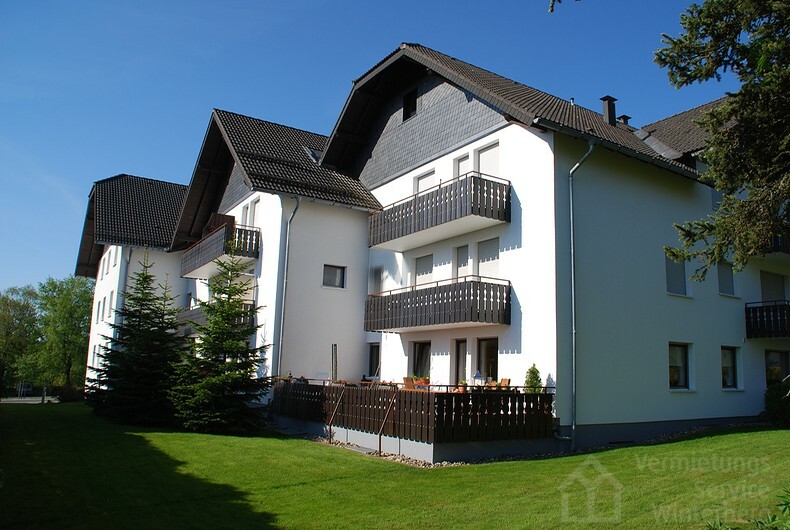 A beautiful location and comfortable and stylishly decorated apartment in Winterberg. The apartment, situated 5 minutes from the town centre and 5 minutes from the ski slopes and cross-country skiing trails, has a living area of 54 m², and consists of a small entrance hall and a large living room with dining area (with sofa bed for 1-2 guests). The fully equipped, new kitchen features a dishwasher, refrigerator with ice box and everything else you need. The bedroom has a double bed, and the bathroom is equipped with a shower and toilet. The balcony is west-facing, allowing you to enjoy the gorgeous evening sun in the summer. There is 1 dedicated parking space in the garage. . When you book, you will receive the SauerlandCard for free train and bus travel and discounts on a range of activities in the area. The accommodation is located in a small complex. You can park your car in the garage and there is also room to put away your ski gear or bicycle. The Winterberg area offers a wide range of leisure activities, such as swimming, sailing, an amusement park and much more.